Love your body with Luv, our 5 speed intimate massager. Luv is ideal as an all-over body massager and for targeting your intimate areas to rouse you to orgasmic bliss. You can send exquisite vibrations across your or your partner's body for untold pleasures. Love your intimate massage with Luv. 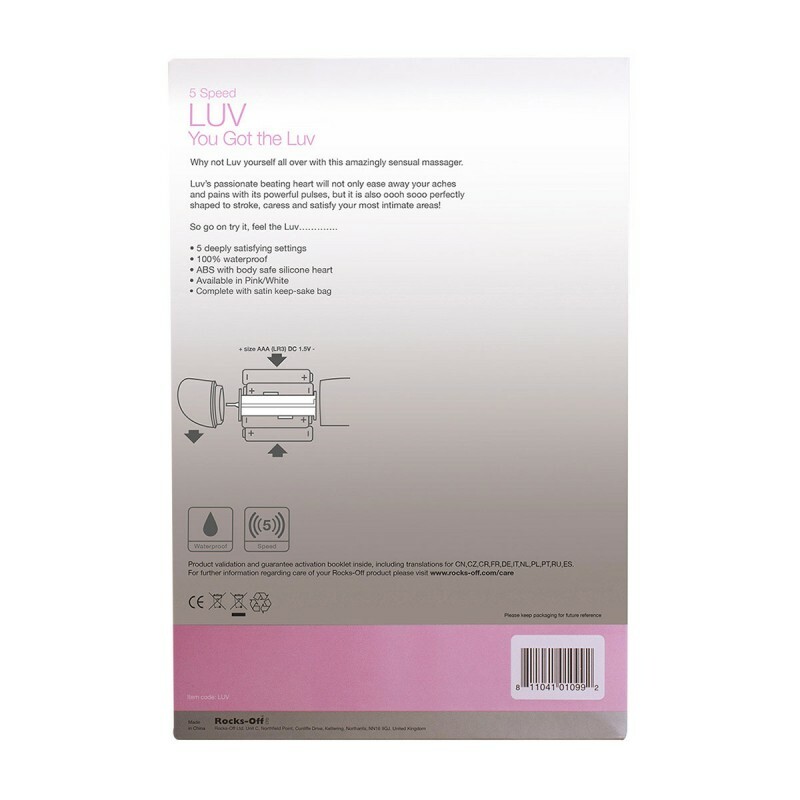 Luv's head comes in pink or white, and is made of soft body-safe silicone so that it runs smoothly over the contours of your body.